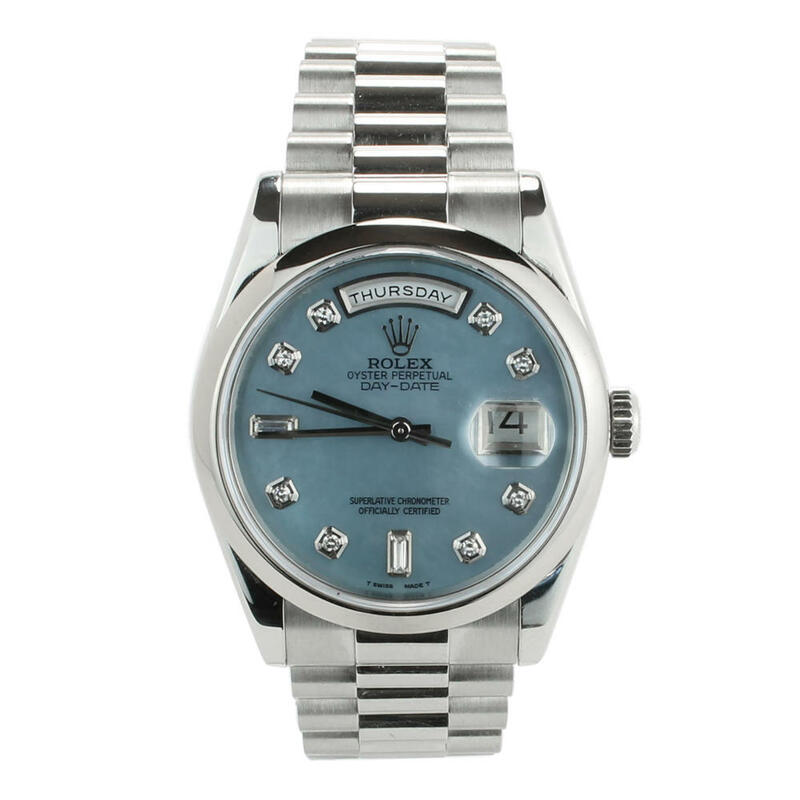 Pre-owned gents Rolex Daydate in platinum, with diamond dot Mother of Pearl dial. On platinum President bracelet complete with box and papers. This Rolex Daydate K557833 watch comes with box, papers and warranty.